While I have already discussed the overall conventions of teen slasher subgenre, this appears to be the perfect time to go into further detail. In order to do so, I will use examples from two of the most successful teen slasher franchises: A Nightmare on Elm Street and Friday the Thirteenth. Just like its predecessor Halloween, these films focus on teens who find themselves in danger in many situations that have often been seen as safe zones: homes, schools, and camps. There is great amount of writing detailing the serious, often times graphic violence towards women that can be juxtaposed with explicit sexual imagery. Most of this violence is perceived as eroticized violence against the female characters. While acknowledging the existence of these aspects of the subgenre, I feel it will be beneficial to the reader to receive information dealing with many of the other themes of the subgenre that may be sometimes overlooked. The first theme that at want to discuss is teen slashers work to remove the audience from the cruel realities of everyday life. The idea is very much evident within A Nightmare on Elm Street. Freddy Krueger, the villain of the A Nightmare on Elm Street series, allows us to forget about the real and sometimes unknown evils of the real world. Going to the movie theater, to watch a movie gives an opportunity to forget the outside world. Talking about how bad and evil Freddy Krueger is takes away some of the pain of the everyday evils of life. These ideas originate from Mark Edmunson and his ideas of gothic despair. There are very few critics that agree with his point of view, but I believe his thought process has merit. Another sometimes overlooked aspect revolves around the idea of family within the teen slasher. One reason it may be overlooked is the apparent absence of parents within the teen slasher. In these films, parents are either “too busy or involved in their own problems” to help their children. Even the parents who attempted to care for their children, were hapless or did not see what problems were facing their children. A scene such as when Nancy Thompson’s mother in A Nightmare on Elm Street forced her child to take a sleeping pill that completely counteracted Nancy’s attempts to stay awake and avoid Freddy is a great example of this issues. Digging deeper into the film, the cause of Nancy’s current situations was the actions of her parents years earlier when they killed the then human Freddy Krueger, an apparent child killer. Her parents indirectly caused the current, grim situation that faced Nancy and her friends. These familial issues to not just exist within A Nightmare on Elm Street. The original Friday the Thirteenth revolves around the vengeance of a mother who could not save her child. While her actions were obviously the effects of a psychotic breakdown, the cause was her inability to save her child from the neglectful camp counselors. The final aspect of the familial concept that is shown within these films is the “final girl.” Through these films the final girl has been faced with many adversities, most obvious the death of her friends and the attempts at her life from the psychotic killer. This loss and these fears have transformed this teen to an adult who must overcome her fears on her own. While I had discussed avoiding the common discussion of eroticized violence and sexual imagery, it is nearly impossible to not bring up when discussing the “final girl” and her usual sexual reluctance throughout these films. In addition, throughout the teen slasher films, the final girl is able to shows characteristics of both femininity and masculinity. These films end with this final girl facing off against the repressed killer. It is now her responsibility to destroy this monster without the help of her parents. In most original films of a teen slasher franchise, the final girl is able to achieve this goal. 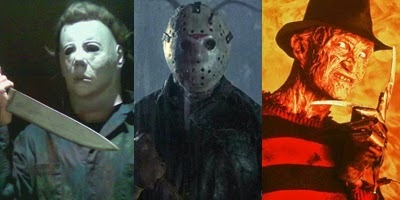 Steps of the Teen Slasher: "The Final Chapter"